The ‘Festival of Lights' is back with a full fervor and as always, carrying loads of ‘good fortune' for businesses with it. It is inevitable for people to go on a shopping spree and all businesses including jewelers, shopping malls, consumer durable outlets and supermarkets thrive during this time. It’s time for every business to rank up its operations in order to meet high demand from customers. It’s quite natural that you need enough funds to ensure smooth business operations. Small business loans can help you a great deal to cope up with this ‘booming’ season and maximize your profits. Needless to say that you need to expand existing capacities to meet Festival demands. For this, you may have to spend on additional equipment, interior renovation, refurbishing storefronts etc in order to appeal to or entice customers. Short term business loans can help to gather quick funds as you can get them without the need of any collaterals/guarantors. To meet the high demands during festive season, you need to keep enough stock of both raw materials as well as finished products. High inventory levels may lead to a sudden fund crunch at times as you may need to spend more than usual on holding your stocks. A timely business loan can save you from such situations. Every business tends to lure their customers with attractive deals, sale and discounts and you just cannot afford to fall behind. A best business loan can help you to run lucrative business schemes without putting too much burden on your finances. Business loans have become extremely convenient and accessible these days and you can propel your business to new heights with a business loan. You need to boost up your marketing budget to enhance the visibility and woo customers during this Festival. Such business activities can cause a working capital gap but a business loan can help you bridge this gap to perfection. 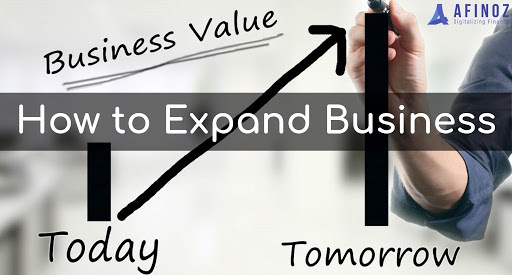 Grow your business with business loans from AFINOZ.COM, the best online financial marketplace in India, which has revolutionized the financial services sector of late. It has digitalized the entire financial processes involving business loans and thrives in providing quick, reliable, transparent & confidential solutions. from AFINOZ.COM, the best online financial marketplace in India, which has revolutionized the financial services sector of late. It has digitalized the entire financial processes involving business loans and thrives in providing quick, reliable, transparent & confidential solutions.